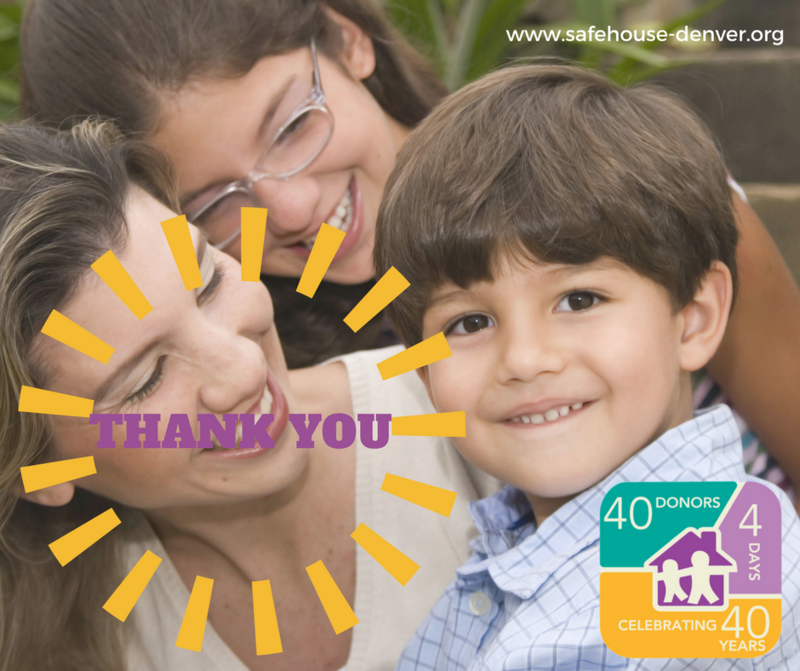 Thank you 40-4-40 Campaign Donors! We’d like to extend our appreciation once again to the 227 supporters who participated in our 40-4-40 Campaign last week. We’re proud to share that, with their generous contributions, we exceeded our goal each day of the campaign and raised enough funds to support all 31 residents at our Emergency Shelter with eight nights of safety. What an incredible way to help celebrate our 40th year of service! Thank you for your support!